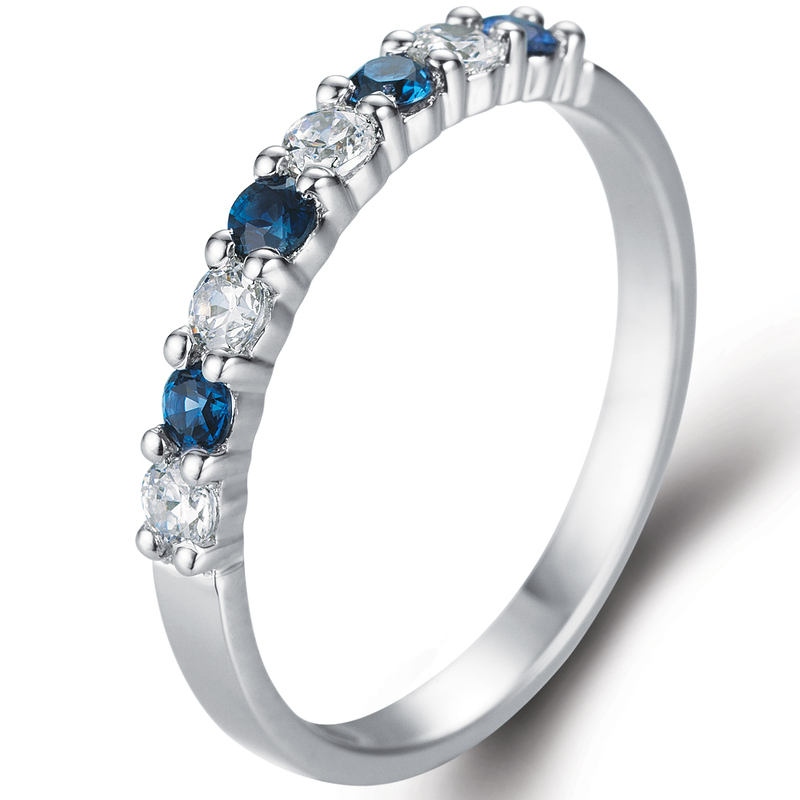 Eternity ring set with diamonds and natural sapphires for 1/3 part of the ring. Precious stones covering top/visible part of the ring. Total precious stones weight is about 0.18 ct.